ETI offers a comprehensive range of pH meters and testers. These instruments are designed as portable laboratory analysis testers for use in a wide range of industries. The pH (potential hydrogen) level of any material or substance is defined by the acidity or alkalinity of that substance and is represented on a scale of 0 to 14; 7 pH being neutral, 0 pH acidic and 14 pH alkaline. This factor can affect many parameters in nearly all types of process or production. We have a care & maintenace guide available by clicking here! The pH (potential hydrogen) level of any material or substance is defined by the acidity or alkalinity of that substance and is represented on a scale of 0 to 14; 7pH being neutral, 0pH acidic and 14pH alkaline. This factor can affect many parameters in nearly all types of process or production. 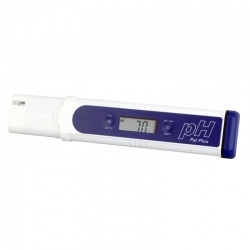 If you do not look after your pH meter then incorrect measurements of pH levels may occur. As a minimum, you must always wash the pH electrode (the measuring part of the instrument) in clean water. Do not touch the pH electrode unless using a damp tissue or cloth for cleaning and then only using extreme care. 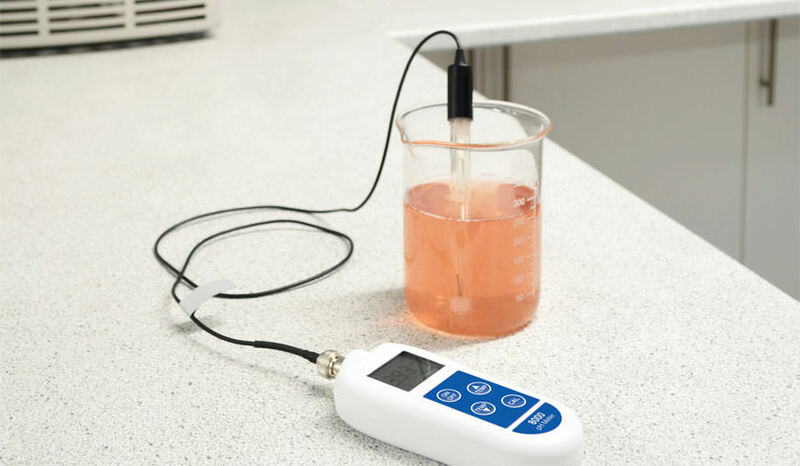 When not in use, ensure the pH meter electrode is kept moist in either storage solution or a pH 4 solution. If the sensor is allowed to dry out completely, the instrument’s performance will be effected and its warranty invalidated. If an electrode has been allowed to dry out or becomes slow to respond, it may be rejuvenated by soaking the electrode overnight in storage solution. After overnight soaking, rinse the electrode and then soak in a 4 pH buffer solution before giving the electrode a final rinse. The electrode should then be ready for use. 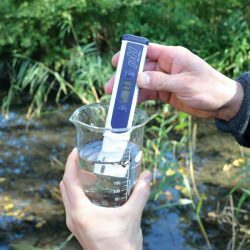 To ensure accurate measurements, it is necessary to calibrate pH meters on a regular basis. For this you will require pH buffer solutions. These standard, inexpensive solutions are used to check that the pH reading is correct. If it is not, it can be easily corrected following the procedure for the specific instrument. Generally pH electrodes have a limited working life, dependant on the frequency of use.